By at least one reckoning, Lincoln City is the Drunkest City in Oregon, and also the poorest. You wouldn't know that from visiting, at least along the touristy Highway 101. 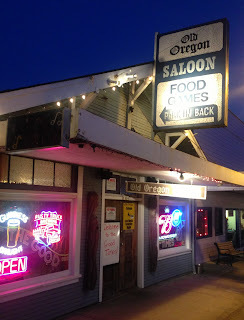 And you wouldn't know it from the Old Oregon Tavern/Saloon (the "Old O" to locals), even though it opens at 7am. From some of the decor here and at least one other bar in town, it would be easy to assume that weed was the intoxicant of choice. 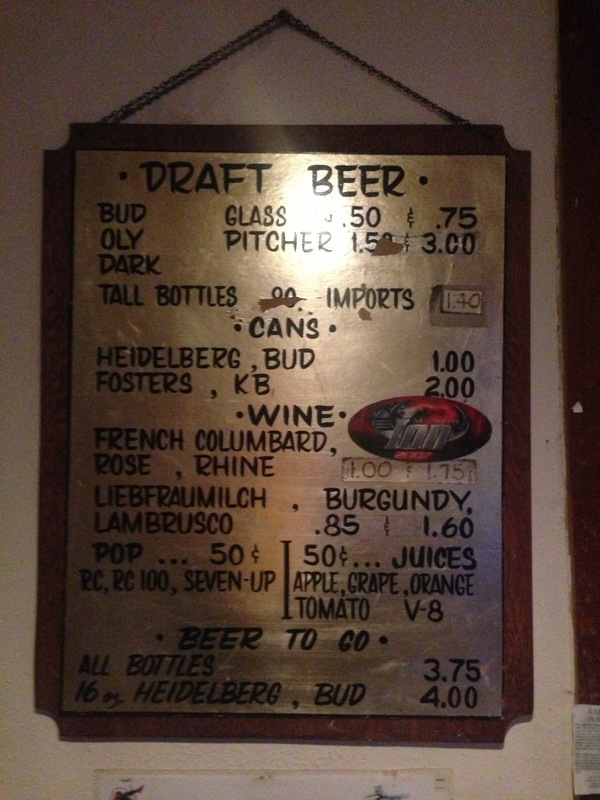 "This is a dive bar." "A classic dive bar ..."
"it's a cash only dive ..."
"It was everything a dive bar should be ..."
"... the ambience is, well, a dive bar." "Cleaner than any dive I've been to." "Where we live the dive bar is going the way of the dodo, so it was nice to kick back and have a cheap drink at a place where there are no craft cocktails or small plates ..."
If you look carefully you may find a theme running through those comments, so if you like dive bars, give this place a look.